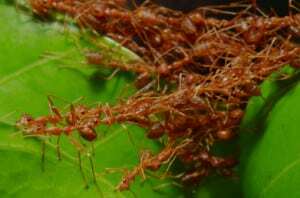 Fire Ant Control, Lakeland | The Other Side Pest Control Inc. Fire Ant Control, Lakeland | The Other Side Pest Control Inc. The most efficient way to eliminate fire ants from your Lakeland, FL property is through our professional fire ant control services. Other than stepping on those infuriating sand spurs, nothing much ruins your time out in your Lakeland, FL yard than getting attacked and bit by fire ants. These pests are amazing in their ability to defend their home and community, and in their ability to survive despite typical DIY attempts to remove them. The most efficient way to eliminate them from your property is through our professional fire ant control services. At The Other Side Lawn & Ornamental Pest Control Inc., we have nearly 20 years of experience and quality products to wage the war on these soldiers of painful bites. We don’t just take care of the ones you see;we also keep the hidden ones from reorganizing and setting up shop in a new location. Driving fire ants back behind is not enough. They must be eradicated. Fire ant control services are important for homeowners, as well as other types of properties in Lakeland. Since a large fire ant colony can be very destructive to crops and equipment, as well as cause soil erosion, it is important to take care of fire ants before they become a massive colony. We have the expertise to do this, and can also take care of a large colony if it has gotten that far. It is important not to ignore it if you have some fire ants in your yard. A small colony becomes a larger one quite quickly, since a colony can grow by as much as 100,000 new fire ants each year. Not only are they a nuisance for enjoying your yard, but they can also damage your outdoor electrical boxes and your landscape lighting. Give us a call to discuss our fire ant control services. You will find us to be very affordable and effective. At The Other Side Lawn & Ornamental Pest Control Inc., we offer fire ant control services in Lakeland, Auburndale, Bartow, Plant City, Winter Haven, Davenport, Lake Wales, Brandon, Polk City, Highland City, Crystal Lake, Eaton Park, and Winston, Florida.